On-trend menswear inspired style and premium leathers make up this season’s must have; the Born Rora. 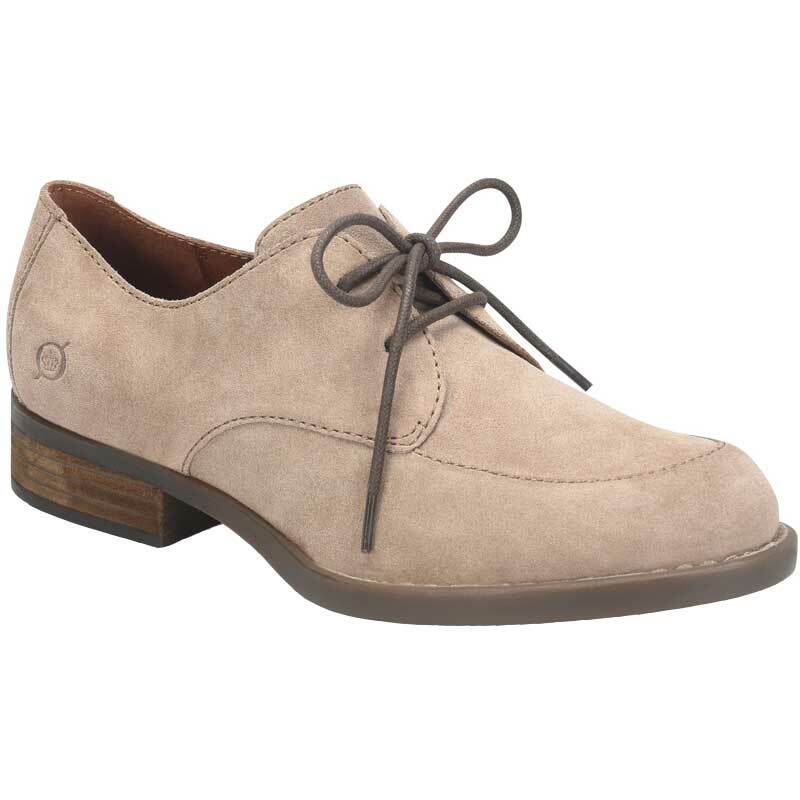 This women's oxford lace-up features a rich full grain or suede leather upper with detail stitching and a slightly raised heel. The leather linings assist with breathability and break in time. The footbed is leather covered to help wick away moisture from your feet, and generous cushioning helps make each step comfortable. Born's Opanka construction creates a flexible yet durable bond, while the rubber outsole delivers traction for a sure step. Add class and sophistication to your wardrobe with the Born Rora oxford. Super cute, comfy and matches well with almost everything. Just a tad narrow for me in the toe box but not enough to be a cause for return. High quality lovely shoes!